Holistic Wish offers Reflexology Welwyn Garden City. Reflexology uses massage to stimulate reflex points found in the feet or hands utilizing specific thumb and finger techniques to restore balance. 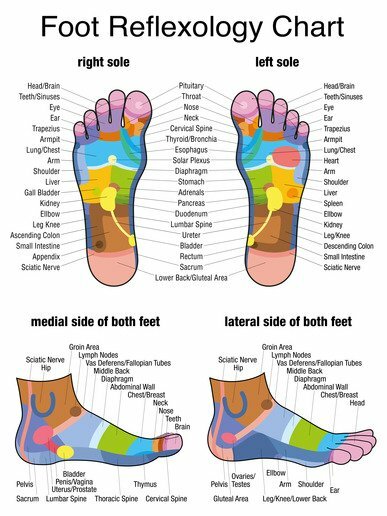 Reflexology is based on a system of energy zones and reflex areas which correspond to every organ, gland and part of the body. For example, the toes represent the head and the ball of the foot represents the chest and lung region. The left foot represents the left side of the body and the right foot represents the right side of the body. By working on the feet the whole body is treated holistically. Reflexology does not treat or diagnose for any specific medical disorder, but promotes better health and wellbeing in the same way as an exercise or diet programme. Experience has shown that many disorders can benefit from Reflexology, including headaches, sinus problems, digestive problems, breathing disorders, tension and stress. Reflexology helps the body to re-balance and in so doing brings about a state of deep relaxation.